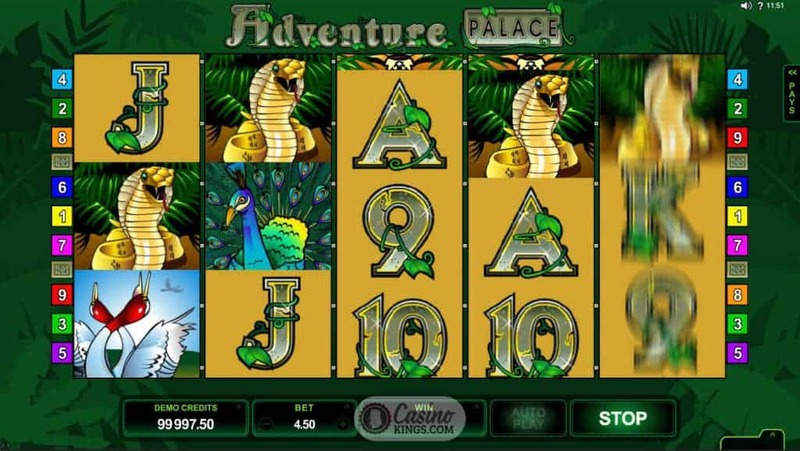 Adventure Palace Slot is a five reel game from casino software veterans Microgaming. You’ll embark on a grand expedition to the wild heart of the jungle. There are deadly beasts to be faced and magnificent sights to be seen as you explore the untamed wilderness in search of the eponymous palace, treasure. And enough adventure to make Indiana Jones consider firing his travel agent. Adventure Palace sets the scene with an evocative soundtrack of jungle noises. Exotic birds chirp, unseen creatures rustle through the undergrowth. Coupled with winning combinations that are met with bursts of tribal music, the trumpeting of elephants and the roaring of hidden predators. 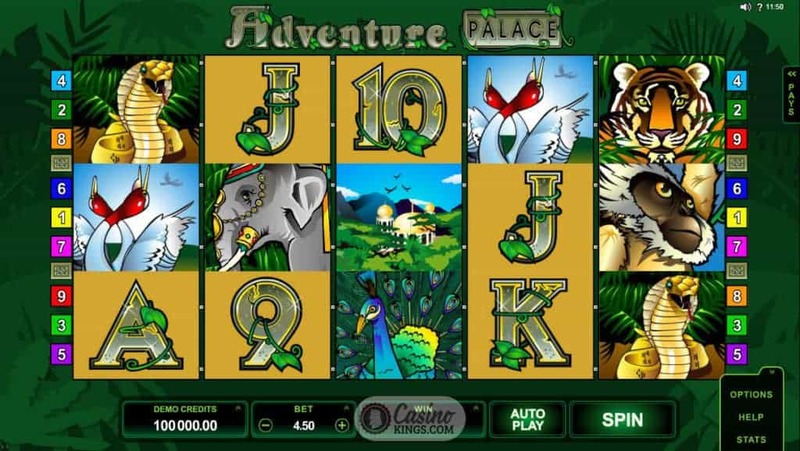 Visually, Adventure Palace features the clean, cartoonish illustrations characteristic of many of Microgaming’s earlier slots games. The reels are populated with colourful and attractively illustrated birds and beasts of the jungle. There are spectacularly plumed peacocks, great elephants adorned with elaborate textiles and jewels, and fearsome tigers peering out from the dense vegetation. The game’s artwork is as vibrant and full of life as the flourishing tropical forests from which it takes its inspiration. 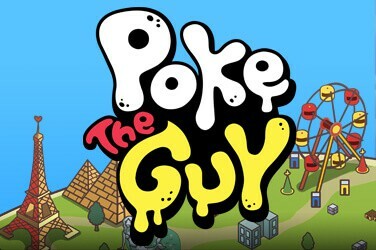 As pleasing as Adventure Palace’s game-play and presentation may be. 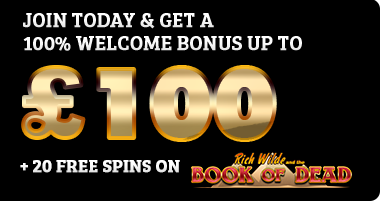 It wouldn’t impress many online slots enthusiasts without a solid set of bonuses to back it up. Fortunately, Microgaming haven’t disappointed on this front. 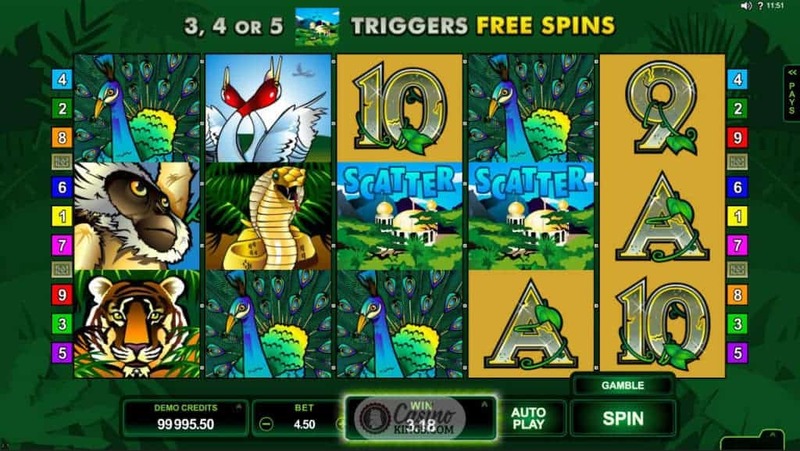 We can select up to nine pay-lines in this game, all of which pay out to matched symbols from left to right. The elephant glyph is the game’s wild symbol, and to sweeten the deal it will double any combination it’s used in. 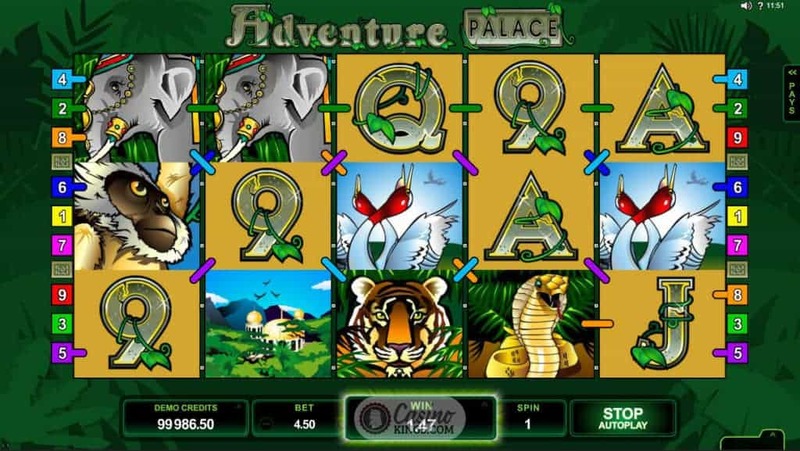 The Adventure Palace itself is a scatter symbol and triggers a free spins mode when three or more are matched anywhere on the board. 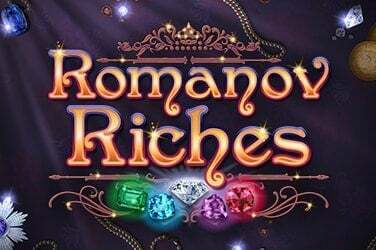 Finally, this game offers players the opportunity to double or quadruple any win by guessing the next suit or colour to be drawn from a deck, allowing for big pay outs from consecutive correct guesses. 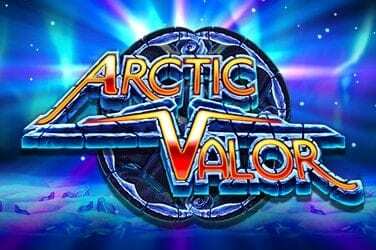 Adventure Palace Slot is one of the older entries in Microgaming’s ever-expanding catalogue of online slots games. It does however remain one of the most charming. 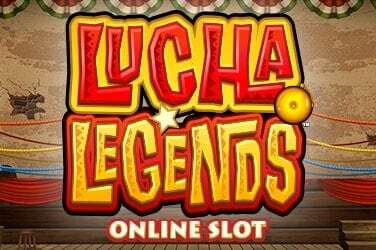 The classic, simple slots mechanics make this an easy game to learn even for players relatively new to the world of online slots. While the exciting jungle theme and crisp artwork ensure it’s appealing even to seasoned veterans.